Sikh organisation ''The Sikhs of New York'' organised the annual Turban Day on Saturday in association with the Consulate General of India in New York. This year's Turban Day also marked the 550th birth anniversary of Guru Nanak Dev and the festival of Baisakhi. As part of the commemoration of Guru Nanak's 550th birth anniversary as well as to mark Baisakhi, this year the Consulate associated with The Sikhs of NY on Turban Day, Mr Sinha said. "This is a great environment and ambience and the crowd is fantastic," Mr Sinha said, sporting a blue turban as he took part in the commemoration. 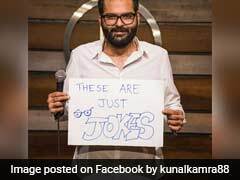 "Technically, by tying one turban we are educating 200 people who are following it on social media," Mr Singh said, adding that number of volunteers signing up for the event has increased multifold over the years. 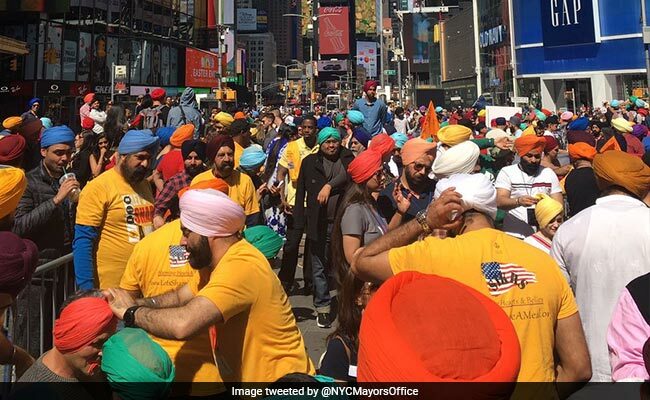 Mr Singh said the organisation will continue in its endeavours such as Turban Day till "the day I walk on the streets and people don't give me two looks," noting that there is need to continue to spread awareness about the Sikh culture the organisation plans to take Turban Day to other cities across the US. "The celebration was very special and important for us because we not only celebrated Turban Day, like every year, but this year it fell on Baisakhi Day and we are marking it with 550th birth anniversary of Guru Nanak Dev, our first Guru," he said. Today I got to experience walking around New York wearing a turban, on turban day organised by Sikhs of New York.